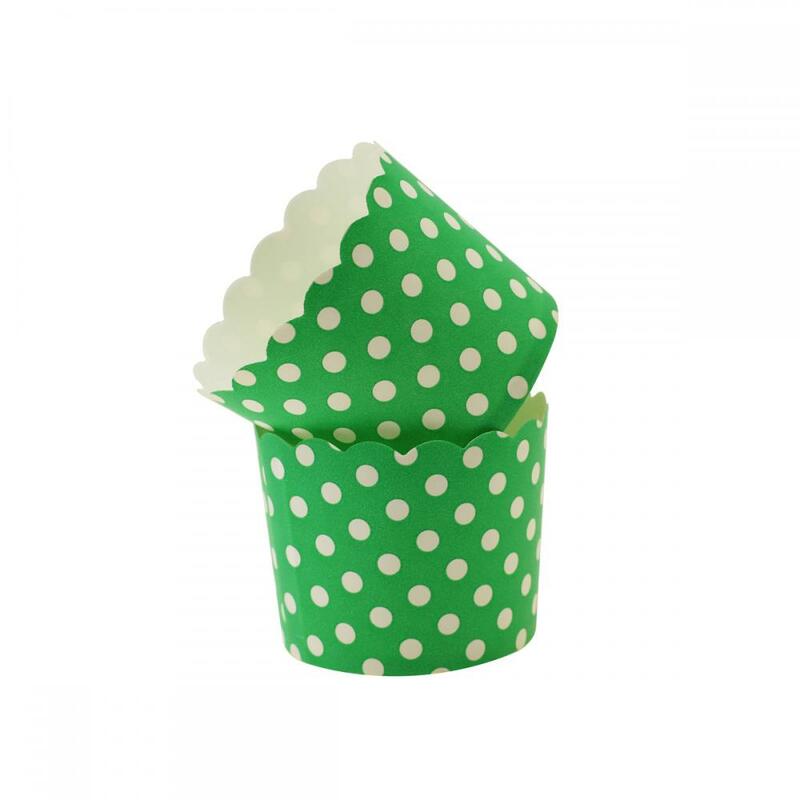 We can offer Paper Baking Cups in many styles, sizes, and designs that will attract customers' attention. A series of interesting products can also influence clients' purchases decisions. 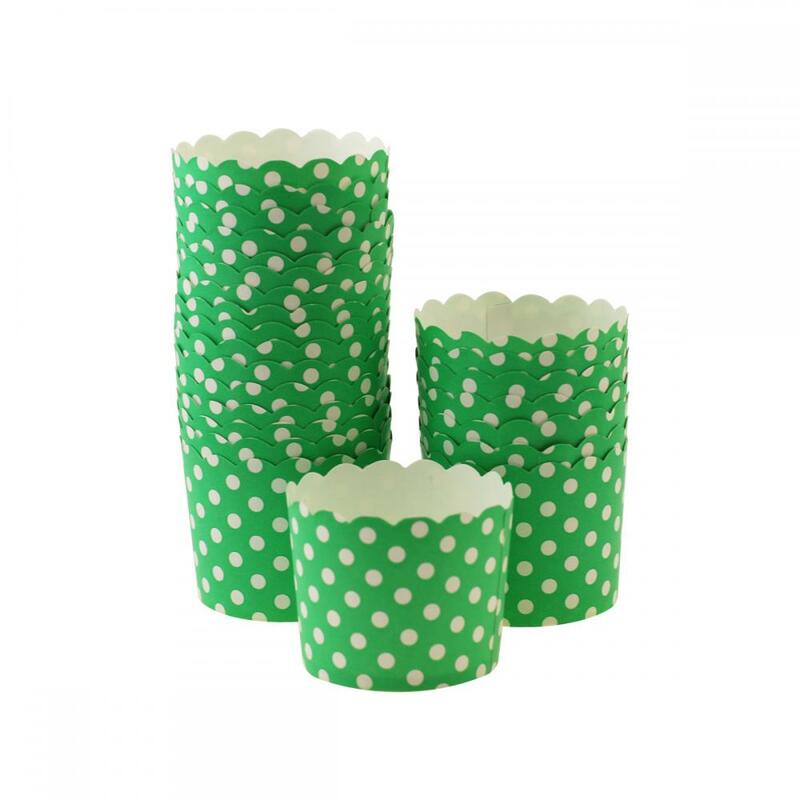 Green Polka Dot were made by laminted paperboard 150gsm, they're water tight and perfect for cooking food. Paper Snack Cups have excellent performance of anti high temperature and disposable. Our paper products come in a range of styles, eye-catching patterns and colors. Food safe coating that eliminates any need for pre-greasing. The size: Bottom 2.36" in diameter by 2.17" high. We can provide best competitive price and satisfied after customer service. 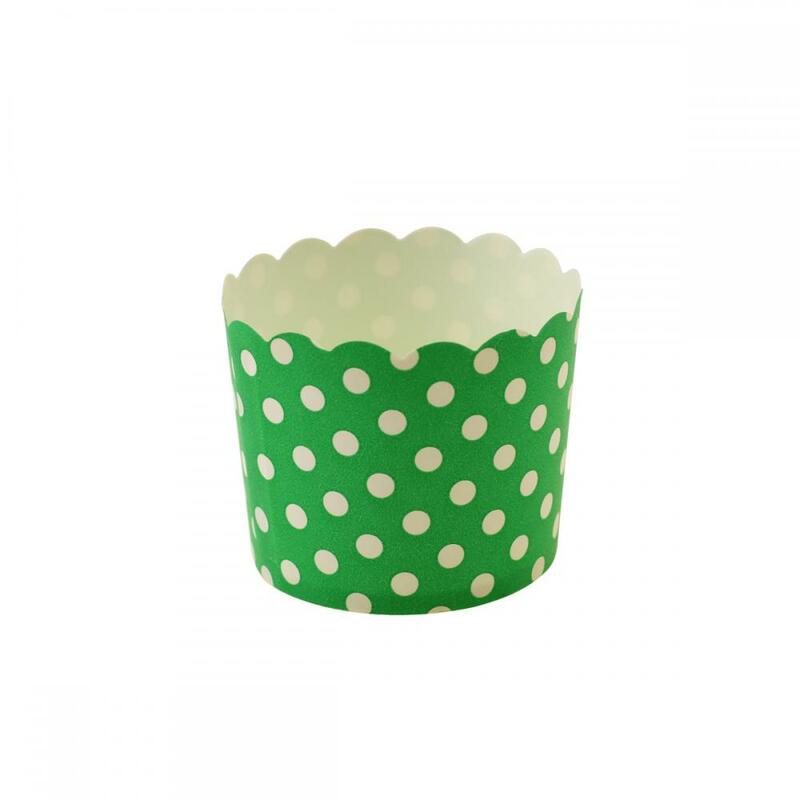 Looking for ideal Paper Baking cups Manufacturer & supplier ? We have a wide selection at great prices to help you get creative. All the Green Polka Dot are quality guaranteed. We are China Origin Factory of Paper Snack Cups. If you have any question, please feel free to contact us.